Q. How does the jet card work? A. It’s a similar to companies like Uber and Airbnb in that in 1999 we figured out that there was excess capacity in the private jet space from corporate and ultra-high net worth owners of jets. So we certified 1,000 out of the 7,000 available private jets based on issues, such as quality of the planes and safety records, so our clients can fly on the best jets out there with the best operators (pilots and crew) drawing down against the card as they fly. Q. Are there other jet card companies out there? A. We invented it, but many people followed suit. Q. How much the SJ card cost? A. It starts at around $125,000 (for 25 hours of private jet flight time) and the average new client purchases a card of around $140,000. A. We have a base of about 5,000. Many of them are of extreme wealth or they’re corporate executives. About 6 to 7 percent hail from the Boston area. I can’t give names, but can tell you their walks of life — hedge fund investors, professional sport team owners, real estate magnates, and entrepreneurs (venture capital, technology, biopharmaceutical). We have a good chunk of celebrities on television and in film, as well as authors and athletes. Q. Nature of their flights? A. 60 percent fly for business and 40 percent for pleasure. A. Clients can choose either a light jet, which seats 5-6 passengers and has a range of about here to Chicago, a mid-size jet, which seats 7 people comfortably, a super-mid aircraft, which seats 8 to 9 passengers and can go across country or a large cabin or heavy aircraft, which can seat up to 15 passengers and go transatlantic. Q. Advantages over flying commercially? A. It’s mainly the efficiencies from wheels up to wheels down. Let’s use Boston to Cleveland for a lunch meeting and coming back the same day as an example, which I do all the time. For a commercial flight, I have to leave my house around 5 a.m. to catch 7:30 a.m. flight, having checked in and made it through security. I get to Cleveland around 9:30 a.m. Then, I have to pick up my rental car and drive to my meeting, which in my case, is usually 45 minutes away at a noncommercial airport. Say the meeting lasts for 1½ hours, I then have to get in my rental car, go back to my airport, return the car and wait for the next flight out. Some of them don’t leave until 6 p.m. So I’ve got a lot of dead time there. I leave at 6 p.m., land at 8 p.m., and arrive home around 10-10:30 p.m. Privately, I could leave my house at 10 a.m., drive 15 minutes over to Concord to Hanscom Field, where I’m going to get the jet. I can park my car, show my ID, and walk onto the jet. I land where I am having my meeting (at that smaller airport). After my meeting, I turn around and fly back and can probably pick my kids up from school at 3 p.m. and still feel refreshed. Q. Can a client work directly with the operators that you use? A. 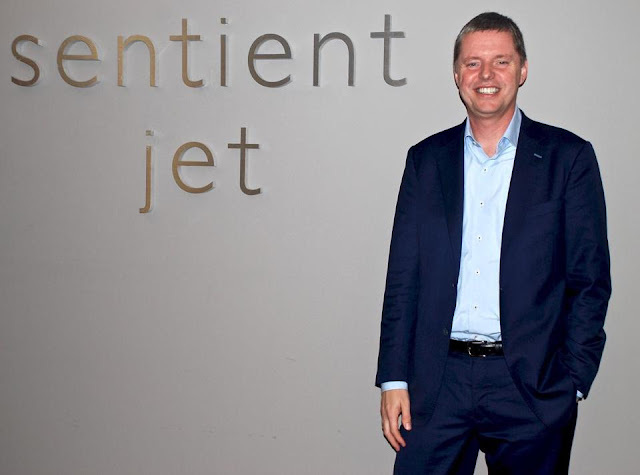 Yes, but they probably won’t get the same guarantees (Sentient Jet guarantees an available jet with only 10 hours advance notice) or the same pricing (it could be higher). We also work with a lot of partners to give clients what we call, “surprise and delights.” We give exclusive access to unique things, like for the Kentucky Derby, we’ve gained access for our clients to the Mansion (at Churchill Downs), a private viewing area usually off-limits to most people except for celebrities. Q. Most popular destinations for Boston clients? A. Nantucket, New York City, and Palm Beach. Q. What about a weekend in Paris? A. We do that, but jet aviation is really good for, say, a business person who lives in Boston and has several manufacturing plants across the country and needs to be in three different destinations in a day or it could be someone who is in finance and has to take a client and put them in front of five different banks in different parts of the country. A. We have a passionate, well-known individual that likes to save animals and we’ve brought baby bear cubs home on our jets to be put back into the wild or into a refuge. A. Just because you’re flying privately, it doesn’t mean you can be a Ninja. (You may or may not be traveling with the card holder.) You have to bring identification, it’s very rude to show up late, don’t over pack (jets have luggage and weight limitations), I typically wear business casual, you want to be gracious and grateful (to your host and the crew). Lastly, just because it’s private, doesn’t give you the excuse to get intoxicated and do crazy things on board. Q. I read that people often bring a gift. A. It’s the same thing as when people invite you over to a dinner party. We’ve seen anything from a bottle of wine to people returning the favor with dinners. In one case someone bought a rare book on a topic the client was into. A.If someone doesn’t order through catering we have a default selection of soft drinks and alcohol and snacks like KIND bars, high-end chocolates, chips, jarred nut selections. A. Generally, most folks work. Q. Your ideal jet destination? A. I dream about taking a one-way trip to Greece. 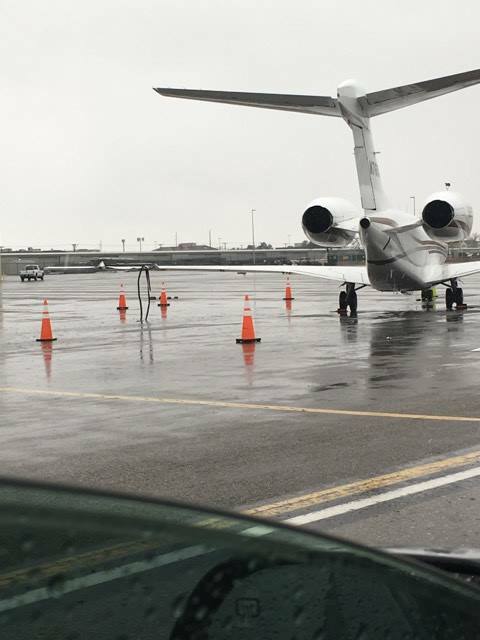 SALT LAKE CITY — A fixed-base operator maintenance employee was hospitalized after crashing into a private plane at Salt Lake City International Airport Thursday morning, officials said. 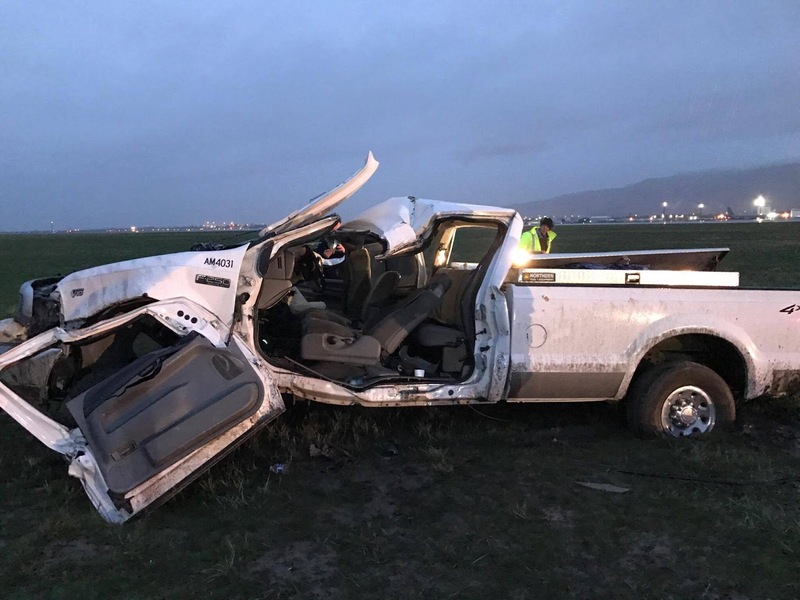 The employee was driving a Ford F-250 on the east side of the airfield at about 6 a.m. when he struck the plane, according to Salt Lake City International Airport spokeswoman Nancy Volmer. Volmer said the driver had to be extricated from the vehicle and was transported to a local hospital. She said she was unsure of the man's condition. Nobody was inside the plane at the time of the crash. Volmer said it is unclear what caused the crash and that it remains under investigation. She added there was “substantial damage” to both the truck and the plane, but was unsure of the exact cost. The crash did not impact travel at the airport. KINSTON, NC (WITN) - An aviation company that has facilities in both Kinston and Winston-Salem has shut down. 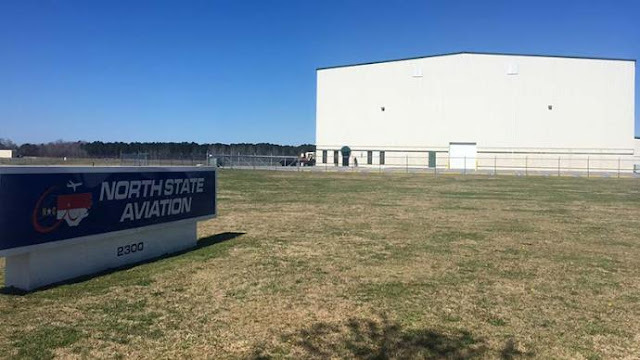 North State Aviation repaired large aircraft and opened up in September 2015 at the Global TransPark. In a letter to the state Department of Commerce, North State said yesterday's shut down was due to "an unforeseeable, significant downturn in business." The closing will effect 345 employees. Then-Gov. Pat McCrory came to Kinston to announce North State's decision to locate another facility here. At the time, the company said it planned to hire 109 employees in Kinston and invest $900,000. To help finance the expansion, the company received a One North Carolina Fund performance-based grant of up to $250,000 from the state. 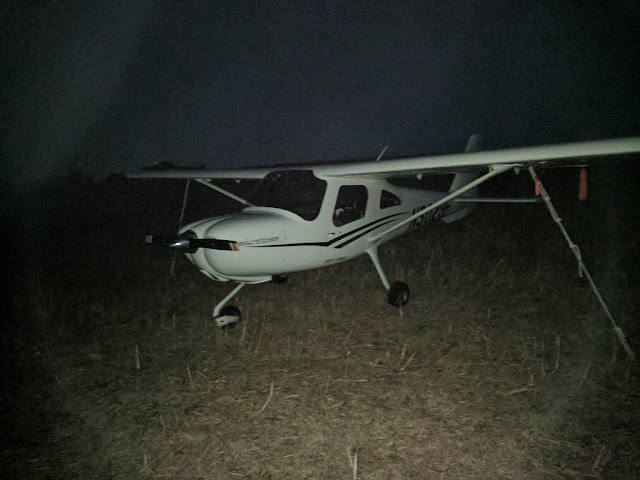 Aircraft experienced engine problems and landed in a field. Craig McDonald explains to a reporter how he landed his plane, background, in Codorus Township field Thursday, March 23, 2017. 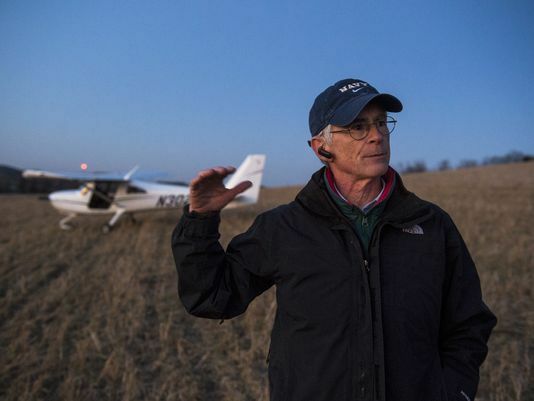 "This was a perfect emergency landing," McDonald said after his Cessna 162 had engine-related problems while he was flying from Lancaster Airport in Lancaster County to Carroll County Regional Airport in Westminster, Md. McDonald reported no injuries and said he would have a mechanic look at the plane the following morning. 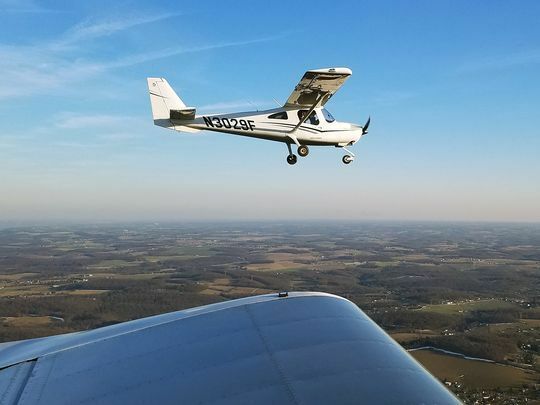 While piloting his own plane, Mike Bullock of Glyndon, Md., took this photo of friend Craig McDonald's Cessna 162 in the air shortly before McDonald was forced to make an emergency landing in a Codorus Township field Thursday, March 23, 2017. A pilot landed his single-engine Cessna plane in an agricultural field in Codorus Township Thursday evening. 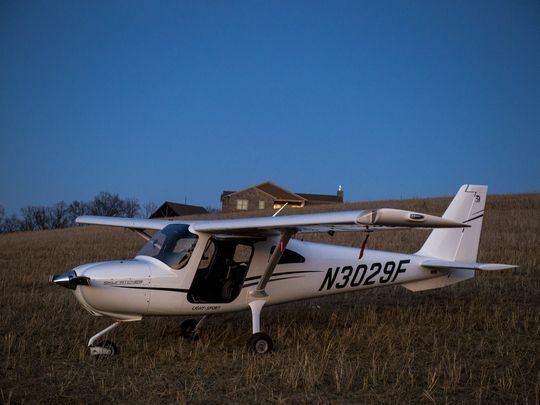 The pilot, Craig McDonald, of Columbia, Maryland, took off from Lancaster Airport around 6 p.m. for a 40-minute flight to Carroll County Regional Airport, where his Cessna 162 sits in a hangar. A friend of McDonald's, Mike Bullock, also of Maryland, flew McDonald to Lancaster where the navigation system of his plane was being worked on. The pair then took off separately for the flight back to Maryland. McDonald was about 12 minutes from his destination when he started getting indications that he was losing power, even though he had a nearly full tank of gas. "It would be no different if you're on the highway, you run out of gas and you know you need to pull over," McDonald said. McDonald knew he had to perform an emergency landing so he started broadcasting over an emergency frequency on the radio, giving as much information about his plane and location. Bullock was about a quarter mile away, in his own plane, close enough to see and make sure his friend was OK. He took a photo of McDonald's plane at about 3,200 feet in the air before McDonald started navigating his way down to the ground. Mike Bullock of Glyndon, Md., helps stake down friend Craig McDonald's Cessna 162 in the Codorus Township field where McDonald landed the plane earlier Thursday, March 23, 2017. McDonald said he was scanning below, keeping an eye out for a clear place to land, free of power lines and thick brush. He finally landed in a large field at the intersection of Sticks and Mummert roads. The field appeared to be used for growing food, but it wasn't clear which kind. At least three 911 calls were placed around 6:46 p.m. in connection with the emergency landing. There were no injuries, but fire crews were dispatched to investigate. By 7:50 p.m., McDonald stood in the field alone, on his phone and waiting for Bullock to arrive. He said he's been a pilot for 13 years. He said responding fire crews arrived to make sure he was OK and an area resident checked on him. He also received a call from the Federal Aviation Administration, which confirmed in a statement to the York Daily Record that the crash occurred and said that the plane had reportedly experienced an engine-related problem. Bullock drove his car to the field after landing in Carroll County. The two tied the plane down for the night. McDonald said he'd be calling an aviation mechanic to check what went wrong with the plane. He said the plane still starts and expects to be able to fly out on Friday. "For Craig to land this thing and walk away from it, you can't ask for a better ending than that," Bullock said. McDonald said this is the type of landing pilots learn about and practice for. A North Cariboo Air aircraft travelling from Victoria was able to land safely at the Kelowna International Airport after having landing gear issues on Thursday. The aircraft finally touched down at 9:55 a.m. after circling the sky before attempting to land. “The aircraft circled for about an hour and half to ensure they could get the landing gear down,” said Phillip Elchitz, airport director. Airport officials were notified at 8:30 a.m. that the plane, which had seven people on board, was having problems. “There was an indicator on the aircraft that indicates three green, which means all three landing gears are down. When an aircraft does not get those indications there is a potential issue with the landing gear,” said Elchitz. The pilots were able to get the landing gear down while in the air. A five-alarm was issued for the airport and four trucks from Kelowna Fire Department, two ambulances, two RCMP vehicles and their own fire crew was all on scene. “Out of an abundance of precaution we go on what's called standby, our airport response firefighting team gets into position as well as we call for back up from Kelowna Fire department, Lake Country, as well as Ellison,” he said. Spectators in the airport cheered and clapped when the small plane landed. Elchitz said this is not a rare occasion but they want to make sure every precaution is met. A plane with seven people on board has landed safely after some tense moments. A North Cariboo Air aircraft, operating on behalf of Pacific Coastal Airlines, touched down safely at Kelowna airport at about 10 a.m. It was experiencing potential landing gear issues. According to officials at Kelowna International Airport, a North Cariboo Air aircraft, operating on behalf of Pacific Coastal Airlines, advised the air traffic control tower there were indications that there could be issues with the landing gear. Emergency crews are standing by. The flight originated from Victoria. Emergency crews are rushing to the Kelowna International Airport. There were tense moments at YLW earlier this month when a small plane reported potential landing gear issues. The Port St. Lucie police department needs your help in finding someone who may have flown their plane too close to First Data field during a Mets game last Friday. Police are asking anyone who was at the game and may have snapped a photo or has video to contact detectives. The game took place on St. Patrick's Day. Master Sergeant Frank Sabol said an aircraft buzzed the First Data Field in St. Lucie West just prior to the start of the baseball game. Sabol said the plane was about 150 feet from the ground and police want to know why and who was flying. "It's a concern because they were flying really close to the stadium and we don't we don't have any intelligence to believe it was anything other than a plane just got to close to the stadium but we want to make sure. You know for the safety of our residents and for the safety to the patrons who go to the baseball games," said Sabol. The plane is described as a white single-engine plane. Police said they're contacting the Federal Aviation Administration and other airports in the area to try and learn the more. "We don't have any intelligence to say that it was terror related or anything like that but we are curious and I do want to know and I know that from our side there's now criminal investigation it's just intelligence to see who it was," said Sabol. The United Nations’ air-safety arm is pushing for video recorders to be installed in future airliner cockpits to assist investigations of serious incidents and crashes, in a move that puts safety gains above privacy drawbacks, according to agency documents and people familiar with the details. Such a step has been opposed by pilots for decades due to concerns that such filming, which could potentially capture their images during a fatal accident or be used by airlines to monitor crews in nonemergency situations, would violate their privacy rights. 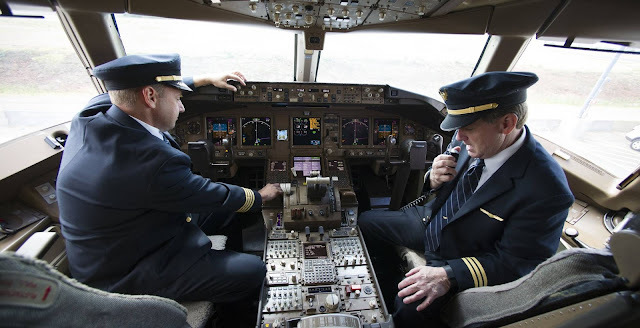 The proposal by the International Civil Aviation Organization, the world’s leading advocate of air safety and technical standards, aims to allay those concerns by using new technology that would avoid recording the faces or bodies of aviators. The ICAO envisions systems designed to capture only images of flight instruments and the positions of switches. The goal is to re-create for investigators precisely what flight crews saw during emergency situations, and to determine whether cockpit displays were consistent with crew commands and actual flight conditions. An agency spokesman said pilots would be able be able to erase the images at the end of flights. The recordings would be stored in crash-resistant “black boxes,” which would have to be accessed for viewing. The ICAO spelled out its proposal, which hasn’t been reported before, in letters this year seeking comments from national aviation regulators by April 20. The agency wants airliners built in the next decade to adopt the technology. The ICAO is the first major regulatory authority or standard-setting organization to formally call for using such technology to help unravel accidents. If adopted, the phasing-in of cameras would likely take at least several years. Accident investigators, including the U.S. National Transportation Safety Board and the Transportation Safety Board of Canada, have long advocated cockpit-video cameras as important supplements to traditional cockpit-voice recorders and flight-data recorders. “There’s no question it would help when a crash involves an intentional act,” said Richard Healing, a former NTSB member. ICAO experts have determined that video images would have provided a significant aid to investigators in various crashes in which terrorism or pilot suicide were suspected. The agency doesn’t have direct enforcement authority. But national regulatory bodies, industry trade associations and airline managers typically embrace its standards, which largely end up as mandatory rules. International treaty obligations and ICAO’s ability to publicly identify countries that balk also give the agency’s pronouncements substantial clout. “It’s long past due” because “tragedies have occurred while ICAO has been studying the issue,” said Kenneth Quinn, a former senior U.S. aviation regulator who now heads the aviation practice of the law firm Pillsbury Winthrop Shaw Pittman LLP. Mr. Quinn said public expectations demand trade-offs between pilot privacy and “a very clear and overdue need” to determine precisely what occurred each time a commercial aircraft goes down. According to an internal ICAO working document prepared by Russian representatives to support the proposal, video images could accelerate future probes “to determine explicitly causes of the crash and to increase public trust” in the investigations. The document also notes that cockpit voice recorders are sometimes inadequate in conclusively determining the sequence of events “in cases of unlawful interference into civil aviation operations” such as sabotage or intentional pilot misconduct. Pilot groups around the globe have strongly opposed the concept, setting the stage for what promises to be a testy debate over its potential benefits and downsides, including costs and risks of improper release of images. The International Air Transport Association, the airline industry’s leading trade group, told the ICAO in a joint letter with pilot representatives last year that it opposed video recordings on the grounds that they could “lead an investigator down an incorrect path” if other, less obvious evidence was overlooked, an IATA spokesman said. IATA also expressed concerns about privacy protections, he said. Debates over the ICAO’s proposal are expected to last a year or more, according to industry officials, as the agency responds to comments from countries, regional safety organizations, pilot representatives and other parties. The final resolution could vary significantly from the proposal, according to safety experts inside and outside ICAO. Press officials for the Federal Aviation Administration and the European Aviation Safety Agency didn’t have any immediate comment. Cockpit-voice and flight-data recorders are embraced by the industry and pilot unions, though confidentiality issues sometimes crop up around the globe. All recorded flight data is supposed to be used solely for safety purposes, and ICAO’s latest language maintains that restriction. Over the years, leaders of the International Federation of Air Line Pilots’ Associations, the umbrella group representing pilots globally, have been outspoken on the issue. In 2015, when efforts were stirring inside ICAO to revive the issue, Don Wykoff, then the association’s president, told members “we need to stop this” by seeking allies “in our home countries.” IFALPA’s current leadership didn’t have any immediate comment. Proponents of video monitoring point to widespread reliance on recorded images to pinpoint procedural lapses in various settings, inside helicopters, locomotives, law-enforcement vehicles and operating rooms—along with the increasingly routine use of body cameras by police across the U.S.
“Legitimate privacy concerns are outweighed here by safety concerns,” said Ted Ellett, who also was a high-ranking U.S. aviation regulator and now is a Washington-based aviation partner at the law firm Hogan Lovells. 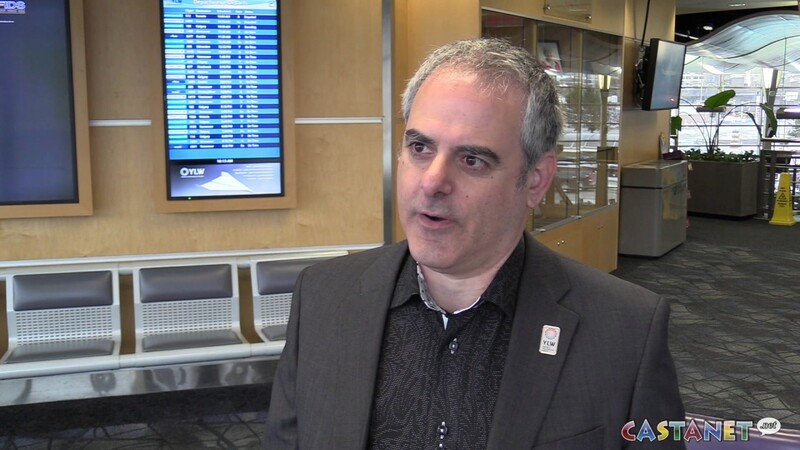 HUNTINGTON – A man is suing Tri-State Airport Authority after he claims he was discriminated against based on his sexual orientation. Karen Adkins and Paul Butcher were also named as defendants in the suit. Richard Anthony Napier began working for the airport in November 2014, according to a complaint filed March 7 in Cabell Circuit Court. Napier claims during the course of his employment, he experienced derogatory comments about his sexual orientation from co-workers. At one point, a co-worker said a derogatory statement in the presence of Adkins, Napier’s supervisor and boss, according to the suit. Napier claims he was reprimanded by an officer at one point in front of eight other employees, despite the fact that he had followed procedures properly and he told the officer that he had followed procedures and invited him to look back at the security footage for proof. Napier claims he worked part time for the airport and part time for a hair salon and one day, in early June, he was asked to work, but he informed the airport he could not because he had a client scheduled in the salon at that time. Later, Butcher came to the salon and told him he needed to come to work, which Napier felt was an invasion of privacy, according to the suit. Napier claims he heard degrading statements daily toward homosexuals at the airport by other employees. The defendants had actual knowledge of Napier’s sexual orientation and, despite this, the defendants’ conduct in allowing the discriminatory actions constitutes a clear violation of Huntington Municipal Ordinance 147.08, according to the suit. Napier claims the defendants bullied him and their unwelcome conduct of mistreatment and abuse toward him was sufficiently severe and pervasive as to alter the conditions of employment so as to create an abusive work environment. The defendants retaliated against Napier and terminated his employment for reporting illegal conduct, which is a violation of the West Virginia Human Rights Act, according to the suit. Napier is seeking compensatory and punitive damages. He is being represented by Mark L. French of The Law Office of Mark L. French. The pilot of the airplane reported that he had recently completed flight training from the manufacturer. The accident flight was conducted under instrument flight rules (IFR). During the first approach to land, the pilot reported that the airspeed was too fast and that he decided to go around. He canceled the IFR flight plan, squawked 1200, and remained in the traffic pattern. During his second approach, the airspeed was again too fast, but he attempted to land. The airplane bounced three times, and during the ascent of the third bounce, the pilot added full power and attempted to go around. The airplane veered left, and he attempted to counter the veer with full right rudder application. However, the airplane touched down hard and exited the runway to left. The nose gear collapsed, and the airplane slid across the safety area before coming to rest upright. The airplane sustained substantial damage to the firewall. The pilot’s use of excessive airspeed during the approach, which resulted in a bounced, hard landing and subsequent loss of directional control during an attempted go-around. The pilot of the airplane reported that had recently completed flight training from the manufacturer. The accident flight was conducted under Instrument Flight Rules (IFR) as was the first approach. During his first approach, the pilot reported that his airspeed was too fast and he decided to go around. He canceled the IFR flight plan and squawked 1200 and remained in the traffic pattern. During his second approach, his airspeed was again too fast, but he attempted to land. The airplane bounced three times and during the ascent of the third bounce, the pilot added full power and attempted to go around. The airplane veered left and he attempted to counter the veer with full right rudder application. However, the airplane exited the runway to left and touched down hard. The nose gear collapsed and the airplane slid across the safety area before coming to rest upright. The airplane sustained substantial damage to the firewall. 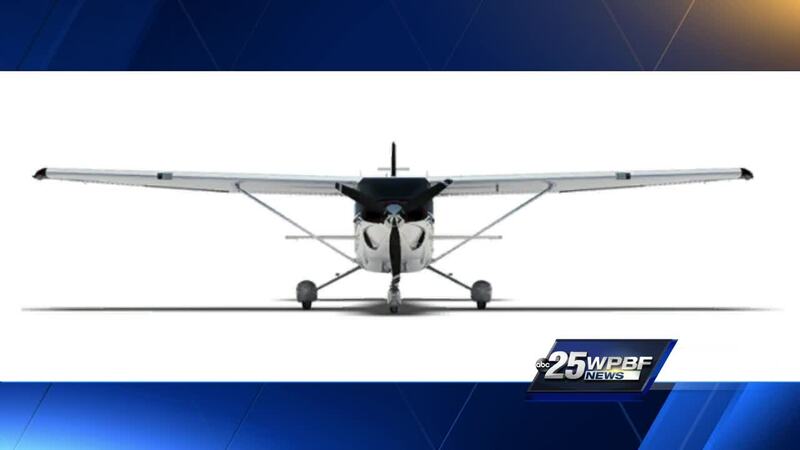 The pilot of the float-equipped airplane reported that, before the takeoff, he taxied “out a little farther than normal” due to another airplane taxiing in the waterway. He added that, as he advanced the throttle, his forward view changed as the airplane came onto step position and that he subsequently saw a buoy in the takeoff path. The pilot immediately aborted the takeoff, but the right wing impacted the buoy. The pilot taxied back to the dock without further incident. The floatplane pilot's failure to avoid a buoy during takeoff. The pilot of the float-equipped airplane reported that before the takeoff he taxied "out a little farther than normal" due to another airplane taxiing in the waterway. He added that as he advanced the throttle, his forward view changed as the airplane came onto step position and he subsequently observed a buoy in the takeoff path. The pilot immediately aborted the takeoff, but the right wing impacted the buoy. The pilot taxied back to the dock without further incident. Upon landing, aircraft landed gear up on amphibious floats. On March 22, 2017, about 1130 mountain standard time, an experimental, amateur-built, Christopher L. Maxcy STOL King airplane, N268CR, sustained substantial damage during the landing roll at the Bozeman Yellowstone International Airport (BZN), Bozeman, MT, following a landing gear collapse. The private pilot was not injured. The airplane was registered and operated by the pilot under the provisions of 14 Code of Federal Regulations Part 91. Visual meteorological conditions prevailed and no flight plan was filed for the personal, local flight which departed about 1040. The pilot reported that just after touchdown, the tail-wheeled airplane immediately veered left, and he counteracted with right rudder and a little power, but was unable to maintain direction control of the airplane. The airplane subsequently ground looped and the right main landing gear collapsed, resulting in the outboard portion of the right wing striking the runway. The airplane came to rest off the east side of the runway. Near the time of the accident, the winds were reported as variable at 3 knots. The high-wing airplane was designed for short take-off and landing (STOL) performance. It's fuselage was composed of a welded steel frame with an extended conventional landing gear. Postaccident examination of the airplane by a Federal Aviation Administration inspector revealed that the right wing was bent upwards about mid-span and was substantially damaged. Additionally, the right landing gear assembly had collapsed under the airplane. The owner and builder of the airplane stated that he had experienced a previous incident where the landing gear strut was bent during a landing, and he replaced it with a heavier duty version. He further stated that the landing gear design was not strong enough due to its long length and the angles of the gear. On March 22, 2017, about 1130 mountain daylight time, an experimental, amateur-built, Maxcy Stol King airplane, N268CR, sustained substantial damage during the landing roll at the Bozeman Yellowstone International Airport (BZN), Bozeman, MT, following a landing gear collapse. The airplane was registered and operated by the pilot under the provisions of Title 14 Code of Federal Regulations Part 91. The private pilot, the sole person aboard the airplane, was not injured. Visual meteorological conditions prevailed and no flight plan was filed for the personal, local flight which originated about 1040. The pilot reported that just after touchdown, the airplane veered left and the right main landing gear collapsed, resulting in the right wing striking the runway. Postaccident examination of the airplane revealed that the right wing was bent upwards and was substantially damaged. The wreckage was transported to a secure location for further examination. Hard landing, damage to left wing flap. On February 11, 2017, at 2004 UTC, a Cessna 402C, N603AB, experienced brake failure during landing roll and impacted terrain at the Virgin Gorda Airport (TUPW), British Virgin Islands. The two pilots and 7 passengers on board were not injured. The airplane sustained substantial damage. Visual meteorological conditions prevailed for the business flight whose destination was TUPW. On February 19, 2017, at 0930 local time, a McDonnell Douglas Hughes 369E, ZK-HRK, operated by Precision Helicopters Ltd. collided with a ridgeline in the Waimarino Forest near Raetihi, New Zealand during an external load operation. The helicopter was being operated in accordance with the pertinent civil regulations of the government of New Zealand. The helicopter was substantially damaged and the pilot, the sole occupant, was seriously injured. A helicopter has gone down in a hilly area in the Ruapehu District on February 19th, the pilot has survived, but was seriously injured in the crash. He was the only person onboard when the chopper went down at about 9:30am into the forest near Raetihi. Ruapehu District Council chief executive Clive Manley said the man was flying one of two helicopters that were transporting beehives in the area when the accident happened. He said fortunately the man's injuries were not life-threatening and expressed his relief there were no fatalities in the crash. Emergency services were called to the site of the crash in Waimarino Forest, near Raetihi, Ruapehu, shortly after this morning's accident. Due to the remoteness of the area, fire, ambulance and police, took more than 40 minutes to reach the wreckage and the pilot. Palmerston North rescue operator Lance Burns said the chopper couldn't land and the 29-year-old man had to be winched out. "It was steep terrain and a lot of gorse bush, but we got him out as safely and quickly as we could." He said it took the Palmerston North Rescue Helicopter about 22 minutes to get to where the man had crashed. A rescue hoist was used to drop the onboard paramedic down to the injured man who was stabilised on site. Once stable, together with the St John paramedic, the pilot was hoisted back up to the waiting helicopter, before being airlifted to Whanganui Hospital a little after midday. The rescue chopper landed at the hospital at 12:45 and the injured pilot was transferred to its emergency department. A Whanganui hospital spokesman said later in the afternoon the man was in a serious but stable condition. Earlier today Rescue Coordination Centre New Zealand spokeswoman Tania Shingleton said the rescue helicopter had flown in from Palmerston North to the crash site. "The pilot is conscious and breathing," she said. St John's spokesman Mark Tregoweth confirmed ambulance staff had treated the pilot at the scene, before he was airlifted to Whanganui Hospital with serious injuries. Police said in a statement the pilot was the only person on board. Staff are currently supporting his family. An investigation into the cause of the crash would be handled by the Transport Accident Investigation Commission.